You can find the press release here in pdf. Ditchley Park, U.K., March 6, 2019 – Freedom of speech must be protected even as governments and industries seek to reduce hate speech and disinformation, the Transatlantic High-Level Working Group on Content Moderation and Freedom of Expression (TWG) asserted following the group’s first meeting last weekend. The February 28-March 3, 2019 inaugural session of the TWG at Ditchley Park focused on best practices and recommendations to assist governments, tech companies and civil society in addressing illegal and harmful online content. The High-Level Working Group includes European and North American members with backgrounds in government, civil society, industry and other institutions. “We need to think of freedom of expression by design as an architectural precondition when talking about introducing limitations”, Nico van Eijk, Director of the Institute for Information Law (IViR) at the University of Amsterdam, added. Recognition of freedom of expression as a core value that needs protection by governments, the public and industry. The need to define the problems being addressed in the most specific and concrete fashion, with an evidence-based approach to both problem definition and applied solutions. Transparency by both governments and industry as an important enabler, to more accurately assess the necessity and character of government response. Oversight and review/appeal processes should meet accepted transatlantic standards such as due process. Fundamental problems for a law-based society occur when private entities are asked to interpret the legality of user generated content and enforce the law without involvement of the judicial system. Approaches should consider rights and obligations of all parties in the ecosystem — governments and users as well as platforms — and be sensitive to capacity differences among the players in all three groups. For example, over-regulation can have the unintended consequence of reducing opportunities for smaller players who have fewer resources to comply. The TWG will have a second meeting in Santa Monica, California, in May, at which it will focus on disinformation and on finding shared conclusions and recommendations. In the upcoming months it will present its discussions and preliminary findings, as well as receive feedback from stakeholders, at various round table meetings and other events in Europe and the US. 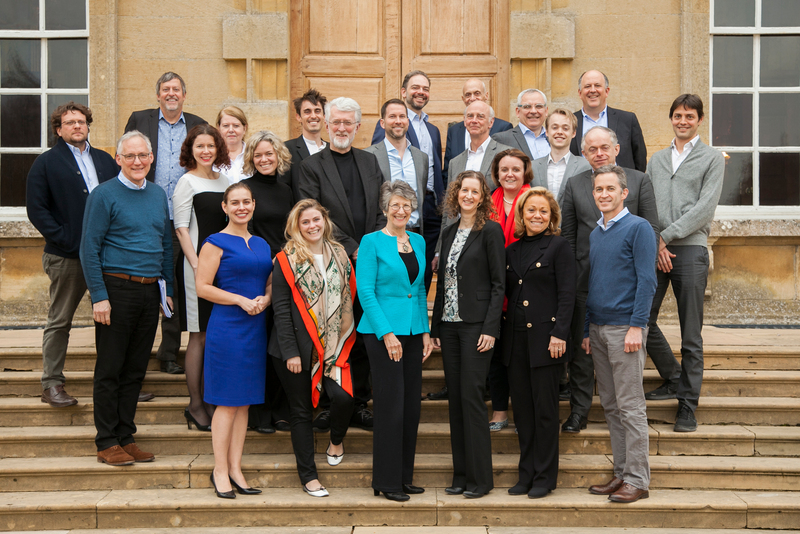 The Transatlantic High Level Working Group (TWG) at Ditchley Park. Credit: Silver Apples Photography. Institute for Information Law (IViR, University of Amsterdam).